The Drug Enforcement Administration (DEA) is warning psychologists to be aware of a prescription drug scam. This telephone scheme is extorting money from people all over the country. On November 28, 2012, the DEA released a press release explaining the details of the scam. The DEA wants to remind psychologists that no DEA agent will ever contact you by telephone. They might show up at your house early in the morning or while you are eating dinner, however. Also, agents never request money or any other form of payment. When Is It Legal to Buy Controlled Drug by Telephone or Over the Internet? Criminals May Be Cold Calling Victims. The scammers are counting on the fact that if you have done this, you, as a psychologist, will get scared and believe their accusations. Many people have no idea whether such conduct is legal or illegal. These imposters are banking on your ignorance and fear of losing your license to practice. They are also banking on the fact you won’t report this to the real police. Where do they get this information? Chances are, they are just “cold-calling” people. There are bound to be a certain number of people they reach who have done this. However, if they seem to have your personal information (or credit card number) report this to the police right away. Be sure to obtain a written police report. Also, you should file a HIPAA Privacy Complaint with the Office of Civil Rights (OCR) to begin an investigation if you believe your personal information has been stolen by or given to someone else to use. Restrictions and Regulations Make it Hard for Legitimate Patients to Get Controlled Drugs. Contact Health Law Attorneys Experienced with Investigations of Psychologists. The attorneys of The Health Law Firm provide legal representation to psychologists and other health providers in Department of Health (DOH) investigations, Drug Enforcement Administration (DEA) investigations, FBI investigations, Medicare investigations, Medicaid investigations and other types of investigations of health professionals and providers. As a psychologist, have you been contacted by these phony DEA agents? Please leave any thoughtful comments below. A registered mental-health counselor is accused of running a $3 million Medicaid scheme through the mental health facility she owned, according to the Florida Office of the Attorney General (AG). On March 27, 2013, the facility owner was arrested. She faces charges of racketeering, Medicaid fraud and identity theft. According to the AG, local, state and federal law enforcement officers were all involved in the investigation. Click here to read the press release from the AG. Mental Health Counselor Reportedly Billed Medicaid for Services Never Rendered. According to the Orlando Sentinel, between 2012 and 2013, the mental health counselor billed Medicaid more than $3 million for services provided to Medicaid recipients with mental health needs that were never rendered. The facility owner is also accused of using gift cards to bribe people into letting her use their Medicaid numbers and service applications. Click here to read the entire article from the Orlando Sentinel. Money was Used on Luxury Items. Authorities said the mental health counselor allegedly used the money to buy a cruise trip for seven people, a trip to Mexico, jewelry and more than $175 worth of Louis Vuitton products. Agents allegedly searched the mental health counselor’s home and business. They apparently seized a Cadillac Escalade and a Ducati Superbike from her home, according to the AG. The mental health facility owner is charged with one count of second-degree Medicaid fraud, one count of first-degree racketeering, and one count of second-degree identity theft. Medicare and Medicaid Investigations and Audits of Psychologists and Other Mental Health Professionals. Over the past year we have observed an increasing number of Medicare and Medicaid investigations and audits being initiated against all mental health professionals. We have also seen a number of investigations and audits initiated against psychologists and mental health professionals who treat assisted living facility (ALF) and skilled nursing facility (SNF) residents. There is a two-part blog on our website on this topic. Click here for part one, and click here for part two. Do you think there is an increase in investigations on mental health care providers? Please leave any thoughtful comments below. 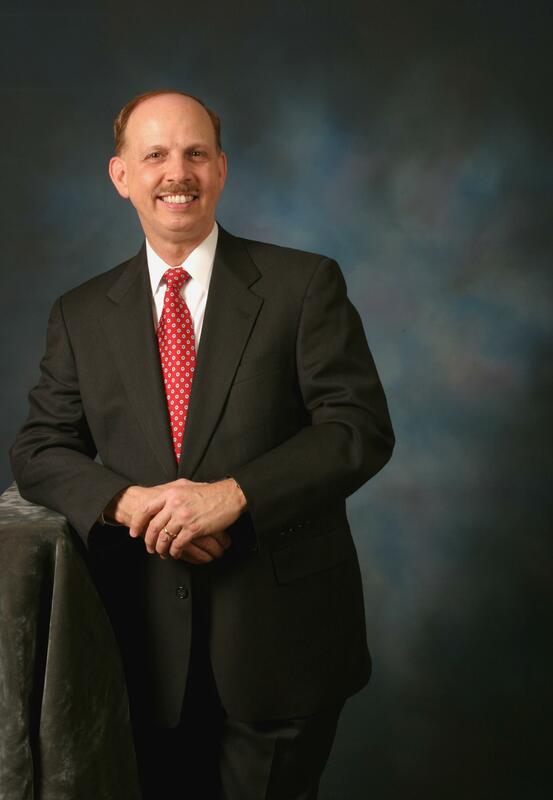 Michael L. Smith, J.D., R.R.T., is Board Certified by The Florida Bar in Health Law. He is an attorney with The Health Law Firm, which has a national practice. Its main office is in the Orlando, Florida, area. www.TheHealthLawFirm.com The Health Law Firm, 1101 Douglas Ave., Altamonte Springs, FL 32714, Phone: (407) 331-6620. By George F. Indest III, J.D., M.P.A., LL.M., Board Certified by The Florida Bar in Health Law Often we learn after the fact that a health professional such as physicians, nurses, podiatrists, psychologists and other health professionals has received Lloyd’s of London Insurance, has had a legal problem, and has not been able to locate an attorney or law firm that accepts this type of insurance. We have offices in Florida and Colorado, but we have attorneys licensed in Florida, Colorado, Louisiana, the District of Columbia, Virginia and other states. Additionally, we can provide legal advice and representation in license investigations and administrative proceedings in many other states. If you have Lloyd’s of London Insurance, do not go without an attorney or with a lawyer that has little or no experience where you need it. Our Attorneys will Work with Lloyd’s of London of Your Insurance Company. The Health Law Firm routinely represents mental health counselors, psychologist, social workers, family therapists and other health providers in investigations, regulatory matters, licensing issues, litigation, inspections and audits involving the DEA, Department of Health (DOH) and other law enforcement agencies. Its attorneys include those who are board certified by The Florida Bar in Health Law as well as licensed health professionals who are also attorneys. In cases in which the health care professional has professional liability insurance or general liability insurance which provides coverage for such matters, we will seek to obtain coverage by your insurance company and will attempt to have your legal fees and expenses covered by your insurance company. We will agree to take an assignment of your insurance policy proceeds in order to be able to submit our bills directly to your insurance company, if your insurance company will allow this. Many of these insurers will pay our firm to represent you in the legal defense of an investigation or complaint against your professional (nursing, medical, dental, psychology, mental health counselor) license or for an administrative hearing involving professional discipline. The Health Law Firm” is a registered fictitious business name of George F. Indest III, P.A. – The Health Law Firm, a Florida professional service corporation, since 1999. Copyright © 1996-2012 The Health Law Firm. All rights reserved. The two owners of a Minneola, Florida, ministry that helps provide counseling therapy and case management for children and families, each face up to 15 years in prison for allegedly defrauding Medicaid. According to the Florida Attorney General (AG), the pair was arrested on December 11, 2013. The owners were arrested after an investigation by the AG’s Medicaid Fraud Control Unit (MFCU) revealed that they allegedly bilked the Medicaid program out of $80,000. Pair Charged With Participating in an Organized Scheme to Defraud Medicaid. According to a Daily Commercial article, the two owners ran a counseling center that was suppose to link Medicaid recipients with a mental health condition to state-approved mental health counseling centers in the community. However, the MFCU’s investigation uncovered that the owners allegedly billed Medicaid for services that were never rendered. According to the investigation, the duo also instructed their employees to bill for entire families when only one family member received services. Employees of the ministry also allegedly billed for unauthorized expenses. Additionally, it is alleged the ministry received reimbursements for services provided to children who did not have any documented mental health condition. The two owners are both charged with one count of participating in an organized scheme to defraud Medicaid, according to the Daily Commercial. If convicted, they each face up to 15 years in prison, up to $10,000 in fines, and restitution. Click here to read the article from the Daily Commercial. Responding to a MFCU Investigative Subpoena. The MFCU is in charge of investigating and prosecuting health care providers suspected of defrauding the state’s Medicaid program. When the unit opens a case against a provider, the first step is usually the issuance of an investigative subpoena, requesting specific records. It is important to remember that the MFCU would not be involved unless criminal fraud was suspected. This is not a routine audit. Click here to read practice tips on how to properly respond to a subpoena. We have been consulted by many individuals, both before and after criminal convictions for fraud or related offenses. In many instances, we are convinced that the person is actually not guilty of fraud. However, in many cases those subject to Medicaid or Medicare fraud audits and investigations refuse to acknowledge the seriousness of the matter or they decide not to spend the money required for a top quality attorney to defend them. Have you heard of the MFCU? How would you respond to a subpoena from the MFCU? Please leave any thoughtful comments below.